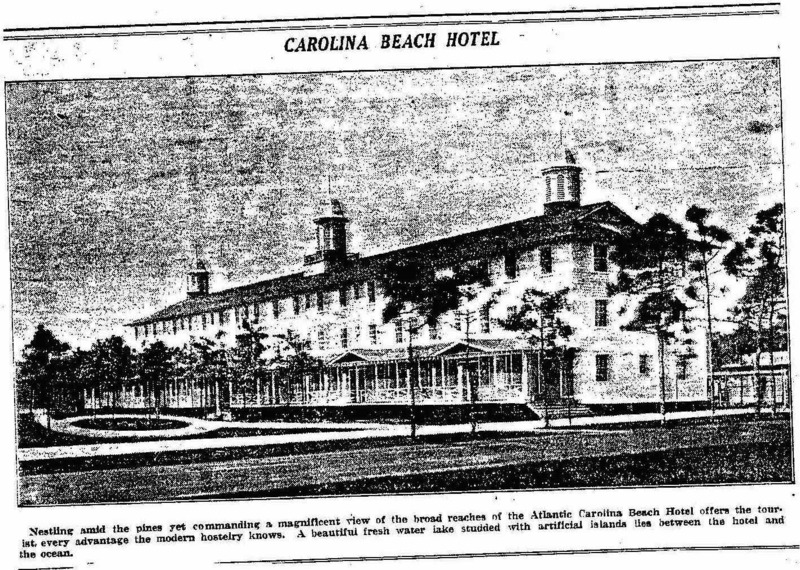 Without a doubt the largest strictly pleasure Pavilion on the south Atlantic coast will be erected within the next few weeks [Jan, 1911] on Carolina Beach. The plans and specifications for the magnificent new summer retreat were recently drawn for Captain John W. Harper, owner of the property and the splendid steamer, Wilmington, by which it is reached, by Architect H. E. Bonitz, of Wilmington. It was Architect Bonitz who designed and supervised the construction of Lumina Pavilion at Wrightsville Beach, which has been so much admired, but in the structure at Carolina Beach, he has gone a step further and provided the largest and most completely equipped Pavilion on the south Atlantic coast – a thing of beauty and a joy forever when it is completed and ready for occupancy about May 1st. The contract for building of the new Pavilion has recently been let to Mr. W. B. Bevill, while the plumbing work will be executed by Dosher Bros, of Wilmington. The material will soon be on the ground and Contractor Bevill will send down a large force of hands who will remain on the beach until the splendid new structure is finished. A 14-foot veranda will encircle the entire Pavilion, which will have all told 13,000 feet of floor space, “40-foot beam and 14 feet depth of hold,” as Captain Harper expresses it in the parlance of the sea with which he is quite as familiar as with the land. Overall the structure will be 164 feet in length. The ballroom proper will be the largest south of Washington, DC, and as someone has said, the steamer Wilmington, could be put down in the middle of the floor and couples could dance around both ends. The floor will be of select material and will be smooth and highly polished to admit of the most delightful dances. There will be large and commodious lavatories, toilet rooms and dressing room for ladies and children while another end of the structure Will be a refreshment booth. The design of the building is of the bungalow type and the roof and sides will be shingled. stood almost alone on the beach strand. An entirely new acetylene lighting system will be provided and nothing in the way of expense and comfort for all visitors will be spared. The building will be six feet above the beach, amply protecting it from the highest tides, while provision is made so that trains from the Cape Fear River pier will run directly alongside. Visitors may step right from the cars into the Pavilion and there enjoy the pleasure that awaits them. 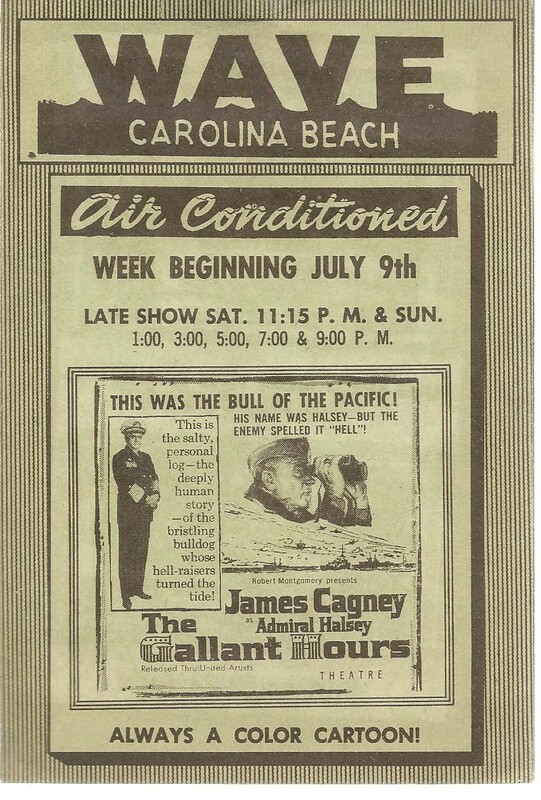 Hotel and bathing facilities will be provided at the beach independently of the pavilion which will be devoted exclusively to “have a good time.” Captain Harper is never so happy as when providing for others the means of enjoying themselves, and in the construction of the new Pavilion, he seems to have reached the climax. Everything at the beach is now being put in good shape and the approaching season promises to be one of the most successful in the history of the resort. Mr. Reaves, a noted historian and member of the Federal Point Historical Preservation Society, was involved in over fifty local history publications and genealogical abstracts, covering New Hanover, Brunswick, Pender and Duplin counties. A charter member of the Southport Historical Society, he wrote a remarkable four volume history of Southport. The vegetation along the lower Cape Fear coastline has always been a part of its beauty, but it has also played a major role in the livelihood and survival of the coastal people. Behind the dunes we find a unique habitat called maritime forest. Maritime means “near water.” This forest is unlike any other because the trees and shrubs that grow there must be tolerant of the sandy, dry soil plus the wind and salt spray the ocean. Some of the trees and shrubs found in the maritime forest are Live Oak, Wax Myrtle, Red Cedar, Sable Palmetto, Sassafras, and Loblolly Pine. 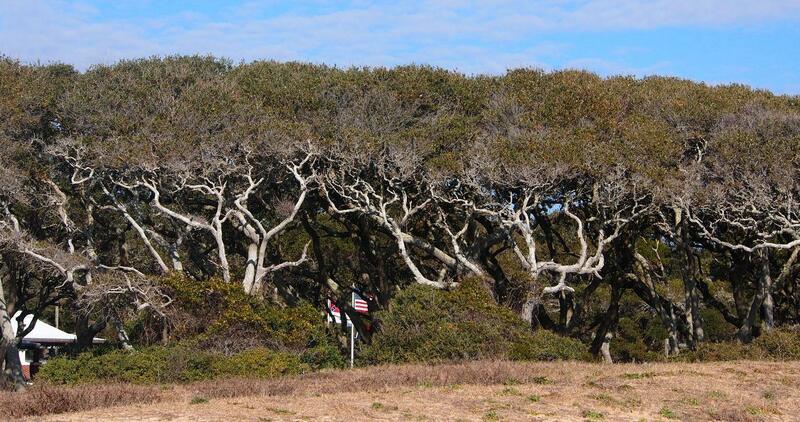 Wedged together and pruned by the wind and salt, these trees take on a sheered look slanting away from the ocean. This unusual formation is a protective barrier for the salt-sensitive trees growing behind the maritime forest. 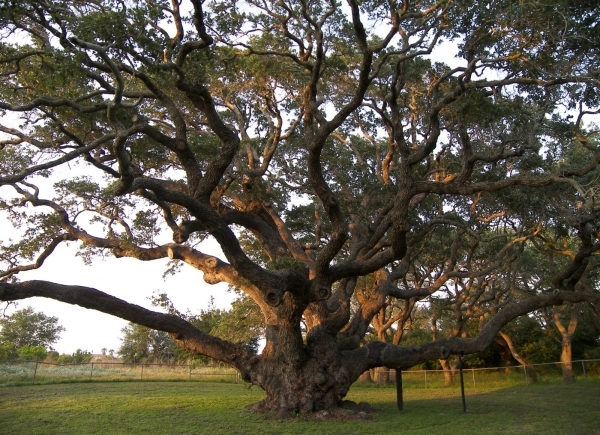 For a period between the Revolutionary War and the War Between the States, Southern Live Oak (Quercus virginiana) came into great demand for ship building. Its dense hardwood proved ideal for the hulls and frames of wooden ships. 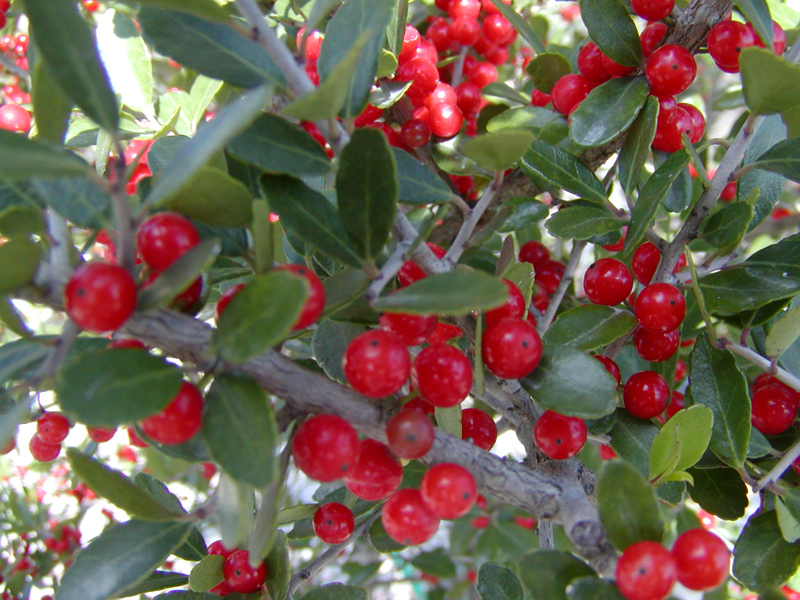 In colonial times the leaves from the Yaupon Holly (Ilex opaca Ait) were toasted and brewed into a pleasing tea. Yaupon was also shipped north to supply the American colonists defying the British tea tax. During the War Between the States, the United States naval blockade of southern ports forced the Confederates to turn once again to the brew used by the colonist and Indians of the southern Atlantic states. Yaupon was the most commonly used tea substitute during the war. Oddly enough, the leaves were also used as a coffee substitute. Candles were scarce in the Confederacy during the war. To make do, the southern people followed a practice used by the early colonist. 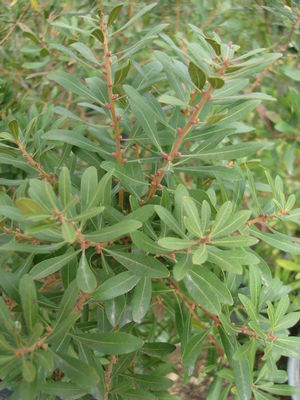 The berries and leaves the Wax Myrtle (Myrica cerifera) were boiled in water. A translucent and very aromatic floating wax would then be skimmed from the top and used to make candles. This process required a great deal of work considering it took several pounds of berries to make one pound of wax. Sassafras (Sasafias albidum) was used by the Indians for a variety of cures and as a medicinal tea by the early settlers. The roots of the Sassafras became the first cash crop exported back to Great Britain from the new colonies. It later became the main ingredient in the beverage we call root beer. Sassafras was believed to be a cure all by the colonists and early explorers. 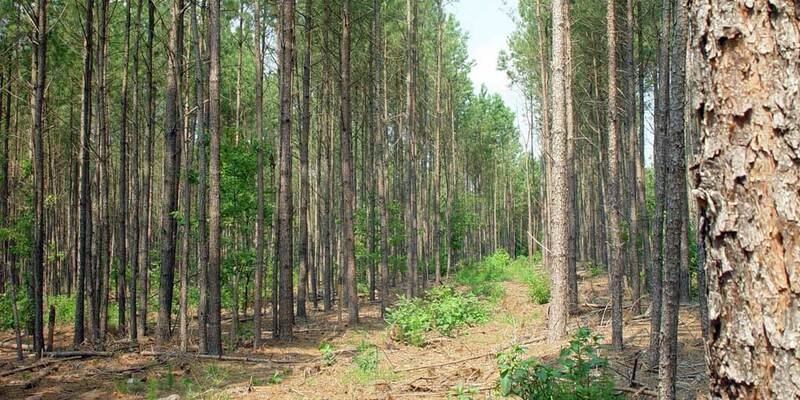 In 1963 the North Carolina General Assembly named the pine as the official state tree. The Loblolly (Pinus taeda) is one of three species of pine found in our coastal area. Starting in colonial times and continuing for almost two hundred years, the residents of the lower Cape Fear processed and exported naval stores. The resin from the pine trees was refined to make tar, pitch, turpentine, or resin. These products were used in the building and maintaining of the ships by caulking seams and waterproofing wood giving it the name naval store. Living the Land – Dr. Thomas K. Squier, M.D., M.H. Because of North Carolina’s treacherous coastline, our shores have been graced with coastal lighthouses. These tall, circular structures tower above the sand banks at scattered intervals along our Atlantic shoreline. Mariners have used these lighthouses for centuries as guides for safe passage through the narrow channels, sounds, inlets, and up interior rivers. At present  North Carolina has eight remaining lighthouses (a good overview of NC Lighthouses). Three lighthouses are located on the southern end of the Cape Fear River and can be seen from the Southport/Fort Fisher ferry. 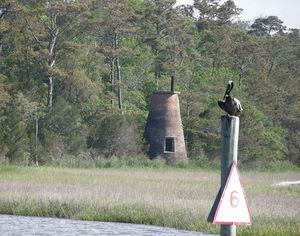 The first lighthouse built in North Carolina was affectionately called “Old Baldy” located at Bald Head Island. Its purpose was to warn mariners of the dangerous Frying Pan shoals and provide guidance into the mouth of the Cape Fear River. It was completed in 1818 at a cost of $15,915.45. It stands 109 feet high and is brick covered with plaster. The state discontinued using Bald Head lighthouse in 1935. All that is left standing is the tower that serves as a distinctive day marker and the oil shed that stored the oil used to light the lamps. allowed the pilots safe passage as they steered through the channel. 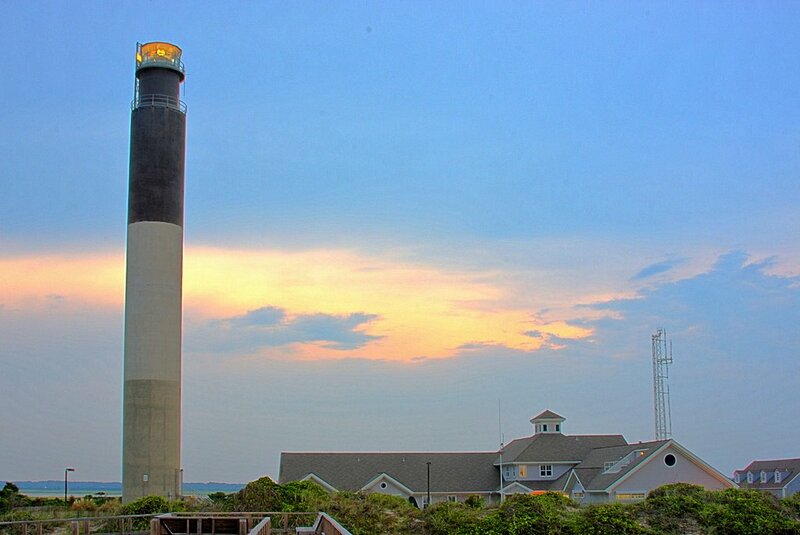 One light remains, making it the only inland lighthouse left standing in North Carolina. In 1958 a silo-style lighthouse was built at the Oak Island Coast Guard Station. 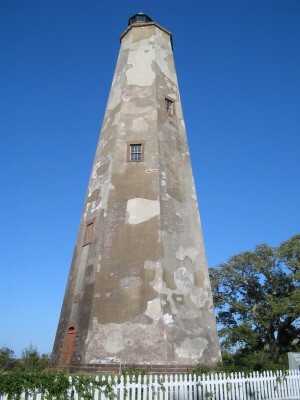 Its purpose was to assume the duties of the discontinued tower on Bald Head Island. The Oak Island Lighthouse stands 169 feet tall and has eight-inch-thick reinforced concrete walls. The foundation is 70 feet deep and rests firmly on bedrock. The paint is integrated into the concrete, the top third black, middle third white, and bottom third gray. The tower never has to be painted. The main light is a rotating, four-arrow beacon. Each light is lit with 1000-watt bulbs that can be seen 24 nautical miles offshore. It is one of the last manually operated lighthouses in the United States. Source: North Carolina Lighthouses, David Stick. 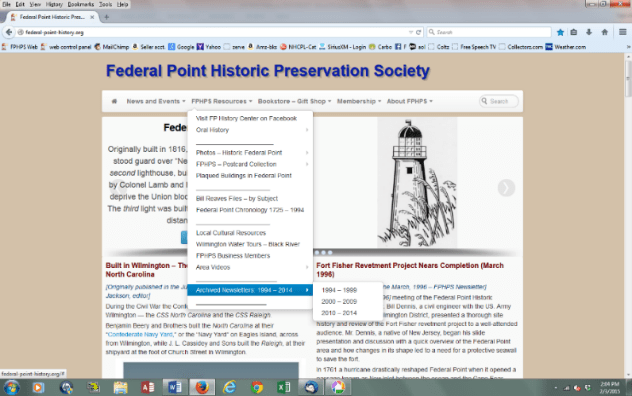 The Federal Point Historic Preservation Society will hold its monthly meeting on Monday, March 16, 7:30 pm at the Federal Point History Center, 1121-A North Lake Park Blvd., adjacent to Carolina Beach Town Hall. 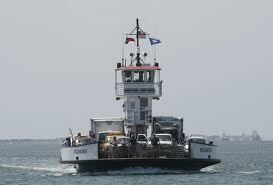 Our speaker will be Marybeth Ray, Captain of the MV Southport ferry. 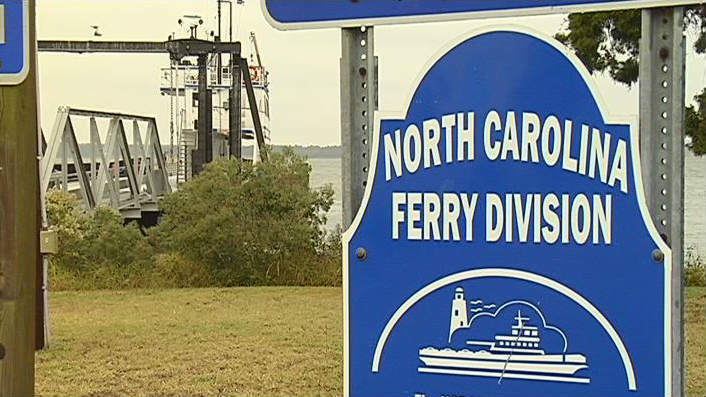 Marybeth Ray is one of just three women among the 60 Captains of the North Carolina ferry fleet. Working seven 12 hour days on followed by 7 days off, she pilots the MV Southport across the Cape Fear River in all kinds of weather and conditions. Marybeth grew up as a “military brat,” her family moving all over the Southeast. When she was twelve her family settled on Andros Island in the Bahamas and her love of boats, sailing and all things involving salt water was born. Her early work experience involved working for the U.S. Navy at their Undersea Test and Evaluation Center as a civilian contractor. Of her 1995 move to Wilmington, Ray says, “We fell in love with this area. Obviously, its very water oriented and Wilmington had a lot to offer as far as downtown.” Soon after resettling she got a job working as a “deck hand” with the North Carolina ferry system. By 2003 she had worked herself up to full time Captain. 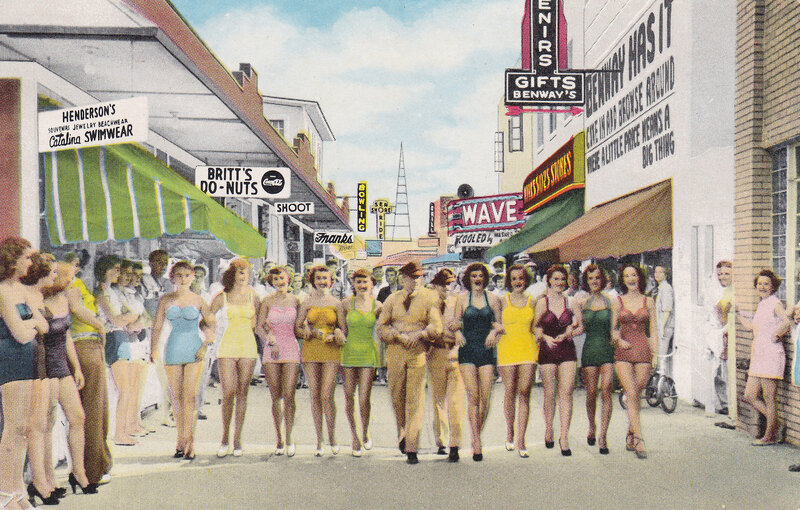 This post card is called Beauties on Parade and shows two lucky soldiers flanked on either side with bathing beauties walking along the Carolina Beach boardwalk in the mid-20th century. 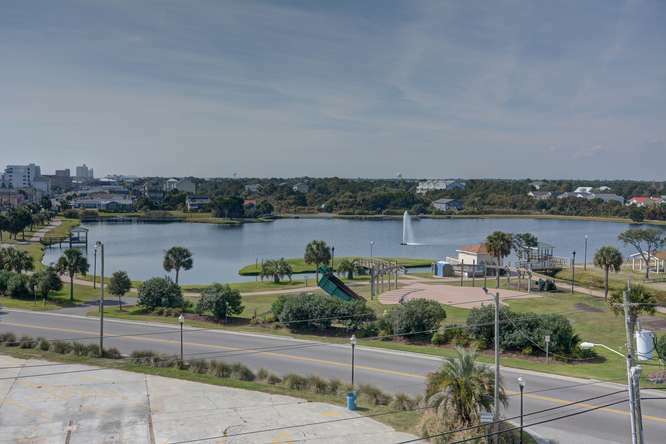 In the background are many of the businesses on the boardwalk including the famous Britt’s Do-Nuts, Henderson’s Beach Wear, Benway’s Department Store, The Shooting Gallery and Wave Theater. Under the theater’s marquee flutters a banner announcing to all that there is frosty cool air inside. This was before the days of central air conditioning in homes and businesses but it was a standard in most theaters. 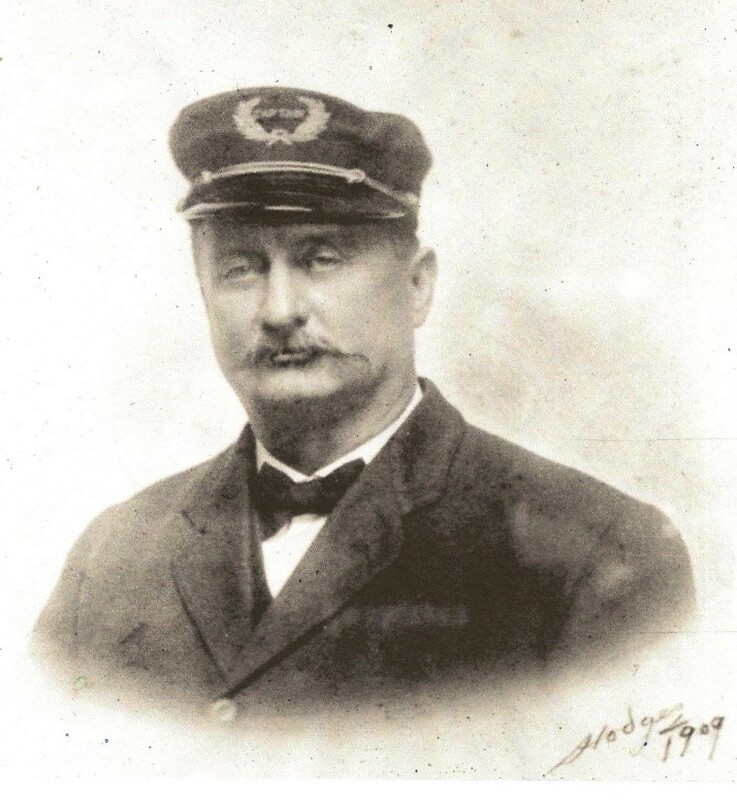 Captain John William Harper was born in the Masonboro area of Wilmington, NC on November 28, 1856. At age 16 John went to work as a deck hand on the Steamer Eastern owned by his brother James. By 1883 the brothers formed the Harper Brothers Steamship Company and ran steamers between Southport, Fort Caswell and Wilmington carrying mail and cargo. Later in the 1880s Captain Harper was at the wheel of the Steamer Passport and often made stops at the recently completed New Inlet Dam. Some say it was Captain Harper who first called the project “the rocks”. In 1886 Captain Harper and others formed the New Hanover Transit Company with the idea of making a resort at Federal Point. The first step was a transportation system to access the pristine mostly undeveloped land that would become Carolina Beach. They planned to bring visitors downriver from Wilmington on a steamer. The company constructed a pier on the Cape Fear River, first near Sugar Loaf, later at Doctor’s Point where steamship passengers could board a train to carry them over to the sea beach. The train, called the Shoo-Fly, had a wood burning steam engine and pulled open passenger cars as well as flatbed cargo cars. As they neared the beach, the tracks ran along present day Harper Avenue which is fittingly named for Captain Harper. The transit company built a pavilion on the ocean just south of the terminus of Harper Avenue. The pavilion was designed by Henry Bonitz who also designed Lumina at Wrightsville Beach. They also built the Oceanic Hotel and a restaurant and had all of them open for the first season in June of 1887. The new resort proved to be so popular that by the end of July the Passport’s 350 capacity was enhanced by pulling a 150 passenger barge called the Caroline. An article in the September 30, 1887 Wilmington Star reported that between 17,000 and 18,000 people had visited the beach by the end of that first season. Over the next few years the resort grew by leaps and bounds with other business establishments and cottages. Captain Harper bought the Sylvan Grove in 1888 to bring excursionists to the new resort.Three years later it burned to the water line while in winter storage near Eagles Island. 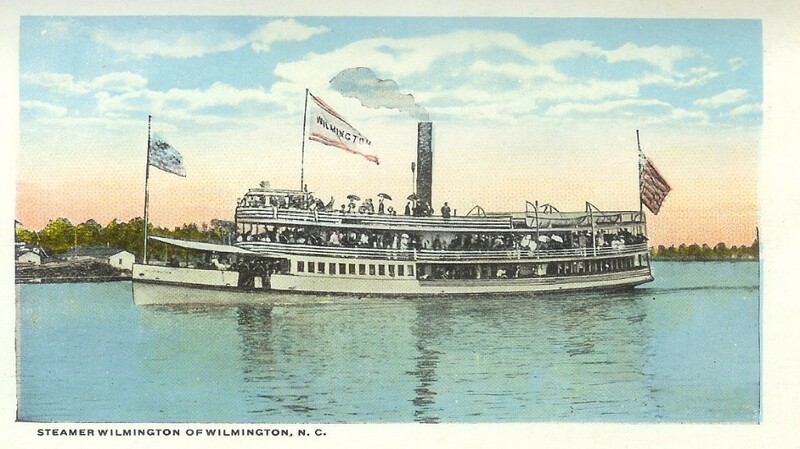 He replaced it with the handsome Steamer Wilmington in 1891 which he purchased in Wilmington, Delaware. It was the perfect choice since it was already named the Wilmington. She had three decks providing ample room for its 500 passengers to dance to the music of an on board band and made four round trips in the season of 1892 with the ticket price of 50 cents for adults and 25 cents for children. The Wilmington is the best known of his steamers and the one most often associated with Captain Harper. James Sprunt has a picture of the steamer and its captain in the front of his book Tales and Traditions of the Lower Cape Fear. Sprunt published the volume as a tribute to his friend Captain Harper in 1896. 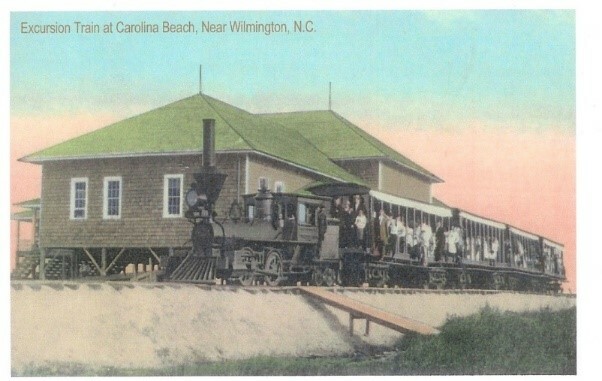 The Cape Fear Transit Company was later sold to other investors but the Steamer Wilmington and Shoo Fly train continued to bring visitors until about 1919 when a fire destroyed the pier at the river and improved roads made automobiles the preferred mode of travel. Captain Harper died on September 18, 1917 and was mourned by all who had known the jovial and popular gentleman who was known by his generous deeds as well as his skills as a steamer captain. 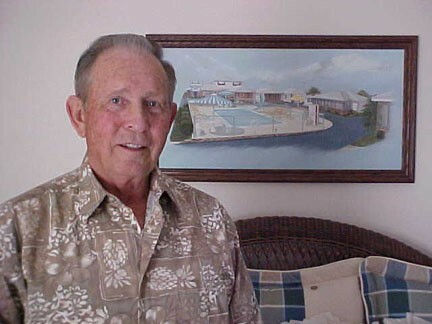 We remember him as one of the founders of Carolina Beach. 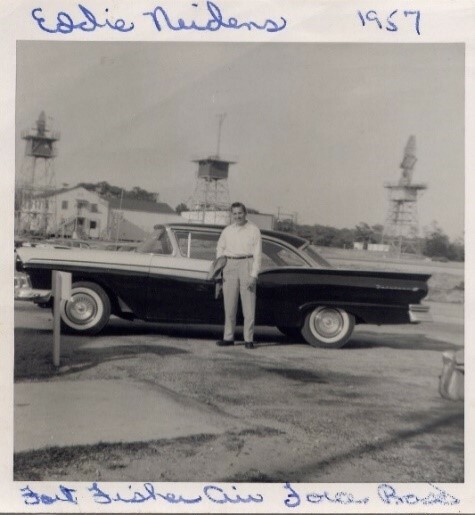 I first came to Fort Fisher in the spring of 1956. The Air Force took me off of a radar site on a mountain in northern Japan and said ‘we want you to go to Kure Beach.’ And at that time, Kure Beach was not on the map. … Fort Fisher was on the map. This is actually the Fort Fisher radar site. I was in the Air Force here at Kure Beach in ‘56 and ‘57. I was discharged in Oct of 57, and went to work for what is now the federal aviation agency as an air traffic controller: Montgomery Alabama, Charleston, Miami, Pensacola, Wilmington. I was a control intercept technician – a radar operator. 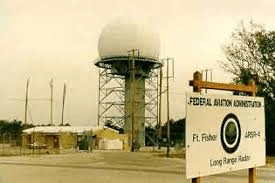 Actually the radar site was part of the old fort – the Fort Fisher Army Airfield WW II hospital area because that was the best part. The rest of the area was done away with. They actually opened the Air Force base in ’55 I believe. Hurricane Hazel hit in ’54. And then it must have been doing some construction. I don’t know anything about the Army base prior to ’56. You have to understand the Cold War was here. In ‘56 and ‘57 we had some 250 people down at the base. We had 4 crews, 24 hour operations, and maintenance for a base with a mess hall and everything else that goes on, not only radar maintenance but everything like vehicle maintenance. And we had a high fence around the compound where the gate was guarded 24 hours a day. We had dogs that roamed the fence. At that time it was top secret. The road from US 421 into the base was nothing but a little 2 lane road with bushes on either side of it. The Air Force Radar Station base was to the right back of the chain link fence. The museum wasn’t in there. That was an old run way – an empty grass runway. They put the museum right in the middle of the runway. We were keeping track of all the aircraft going up and down within 300 miles of Kure Beach. They had fighter jets at Seymour Johnson AFB, Langley, Virginia, Goldsboro, NC and then down to South Carolina. We could scramble fighter jets from any of those facilities to intercept air craft to determine what kind of air craft it is and identification. The only time we didn’t was when we knew what the aircraft was. And if it was out of Carolina they gave us identification on that. So we knew the airliners and other people. But if it was coming in from the ocean, or somewhere, they definitely got scrambled. We were part of the early warning system. Unless you knew the kind of aircraft from the identification of some means, you wouldn’t know, ’cause it was just a radar blip. Now-a’days  everything on the computer has a tag on it that tells them what the aircraft is, the height and everything else. It’s got a transponder. Back then transponders had 3 modes. Now they have like 88. In the b&w picture the towers behind me are both height radar. They determine the height of the air craft – how high up in the sky. It went like this and the beam went up and down and it showed up on a screen, a blip on the screen, and of course, it was calibrated as to what height. The one in the middle looks like it was under construction and a new radar. There is no antenna on top of it. We had a great time. We had tours of duty. We were on 8 hours and then the rest of the day was ours. We wore civilian clothes off base. We’d come up to Kure and Carolina Beach. All the locals knew us. We had just a great rapport with all the people. The Federal Point Historic Preservation Society would like to welcome Frank’s Pizza back to the Carolina Beach Boardwalk. After a devastating year in 2014, Frank’s Pizza has literally risen from the ashes to come back and continue to be one of the mainstays of our Boardwalk and a very welcome Business Member of the Federal Point History Center. 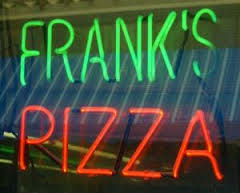 For twenty-two years Frank’s has opened for business selling New York Style pizza, calzones, and Stromboli on Carolina Beach Avenue North (Boardwalk) right across from Britt’s Donuts. Mister Frank Tatey originally opened Frank’s Pizza around 1992. Mr. Tatey later sold it to one Frank Williamson who finally sold it to Debbie Whitley in 2003. Debbie kept the name and slice by delicious slice, Frank’s became the “go to” place on the Carolina Beach Boardwalk for great pizza. 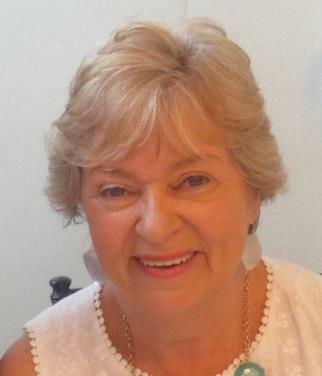 Last year, the owner, Debbie Whitley passed away. After that loss, the north end of the Boardwalk suffered an historic fire. While it may have looked like Frank’s Pizza was going to be a memory, Debbie’s son, Patrick Adair was working hard to bring it back better than ever. 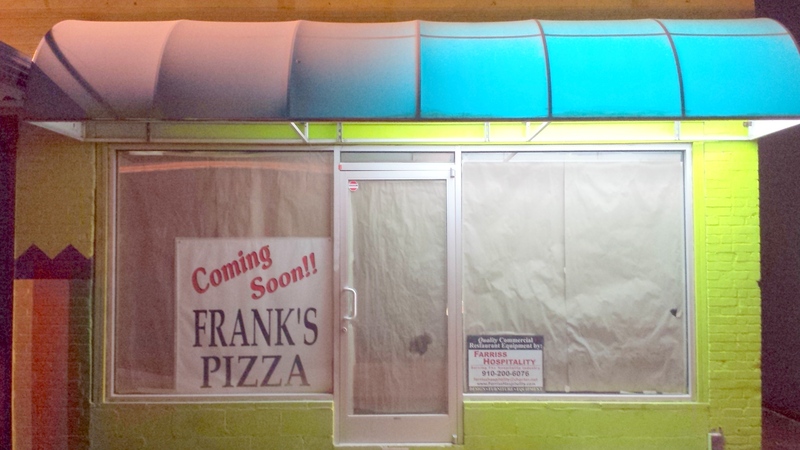 Frank’s Pizza aims to reopen by the end of March 2015. Newly located beside Britt’s Donuts at #9 Carolina Beach Avenue North. They have a lot of new equipment and some great new ideas! Keep your eyes and ears open for a new Frank’s Pizza website to develop by summer of 2015 advertising fresh pizza, calzones, and Stromboli. Look for later hours, dine in, carry out and the same delivery area as they had before. Do not forget to “like” their Facebook page. Frank’s Pizza exemplifies the spirit of our community in Carolina Beach and the Federal Point Historic Preservation Society is extremely proud to have them as a Business Member. Welcome back Frank’s!! The History Center recorded 50 visitors in February. We had 50 in attendance at the February meeting. The gift shop took $363.55 in February. The cookbook continues to sell at a steady pace. 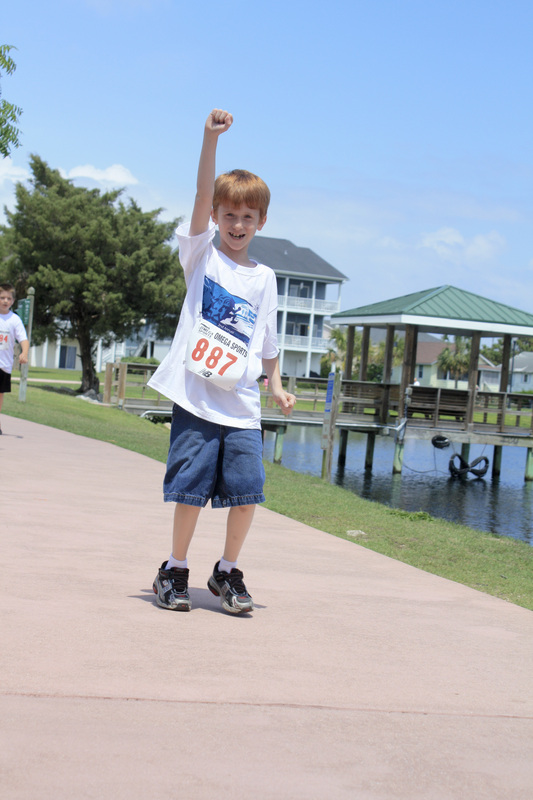 The History Center was also used by Got-‘em-on Live Bait Fishing Club and the UDC-Fort Fisher Chapter, and the Committee for the Carolina Beach Walk of Fame. Special thanks go out to Rick Both who has been diligently clearing brush on the Sugar Loaf Line of Defense throughout the winter. The Sugar Loaf Earthworks Preservation Group held a ‘planning’ meeting on Thursday March 5 and a “work day” Saturday March 7. More information about Historical Significance of Sugar Loaf Civil War Earthworks. Please welcome new members John Carroll and Roger Saulnier from Ottawa Canada. We also have TWO new lifetime members, David Craft of Greensboro, and Victor Alocci of Wilmington. The past 20 years of Society Newsletters are now available on our web site. From the website main menu choose ‘FPHPS Resources’ and then choose ‘Archived Newsletters 1994-2014’. Many of the historic and featured articles that have been extracted from archived Newsletters are now being posted daily on our website, one-per-day. This is a GREAT resource that Andre’ has spent many hours scanning and formatting and it’s a great relief that all our hard work is now archived digitally.